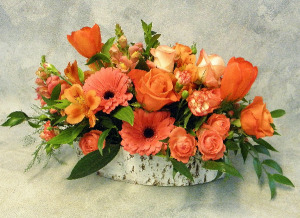 Vibrant coral and orange blooms in a long and low birch bark container. 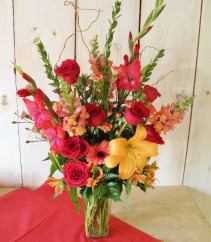 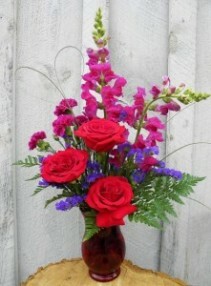 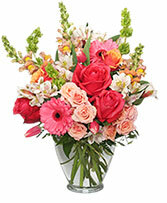 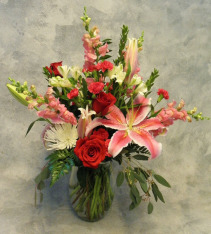 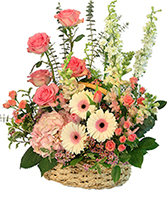 This beautiful arrangement of romantic roses and snapdragons is sure to warm the heart of your sweetie! 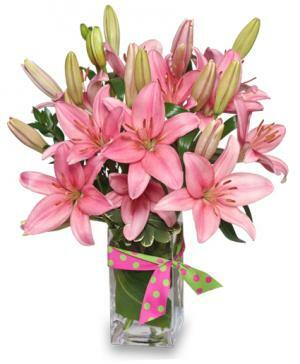 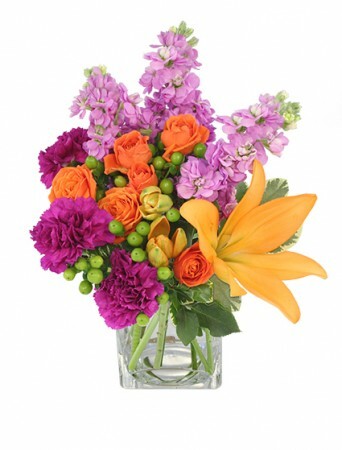 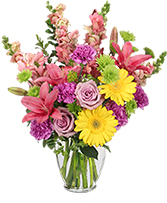 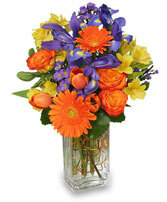 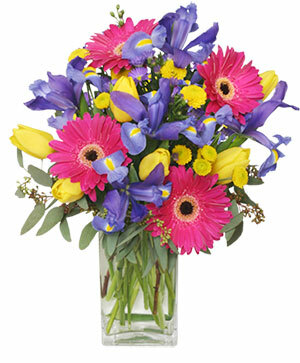 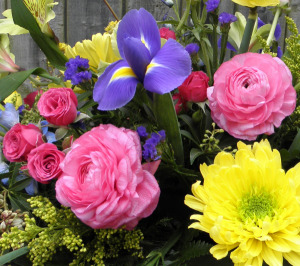 Bright and fun mix of fresh flowers without a vase. 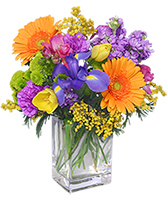 Have a favorite color? 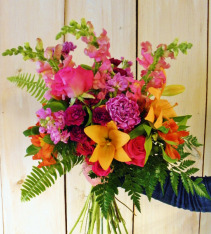 Let us know we can create a bouquet to fit your style! 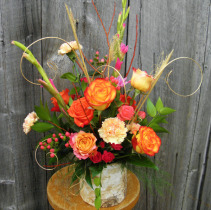 Whimsical flower arrangement in orange,peach and pink tones featuring roses and ornamental grass twirls in a birch bark container. Vibrant red roses accompanied with glowing orange blooms artistically arranged into a glass vase. A Season of Flowers is the gift that keeps on blooming! The first bouquet includes a gift certificate so they'll anticipate your love and warm wishes each month as they arrive as beautiful blooms. 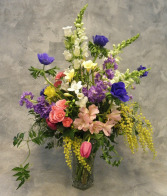 Custom schedules available, call us! 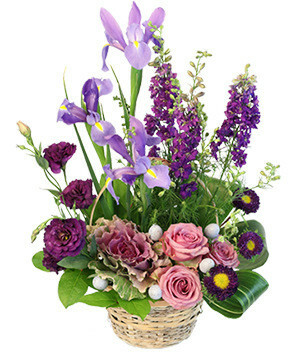 Garden styled arrangement with fresh mix of springy blooms.